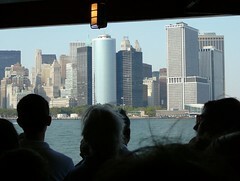 This was taken from about the third row of people standing near the front of the Staten Island Ferry yesterday. I wanted to get some of the scope of Manhattan into the picture, but that's only a fraction of the total view. It's a really big place.